Last Saturday, the Columbia Space Initiative (CSI) successfully sent Roaree, a smaller, cuter incarnation of Columbia’s mascot, to near-space. Roaree traveled in style: in a high-altitude balloon that was able to reach 108000 ft after just two hours of flight. 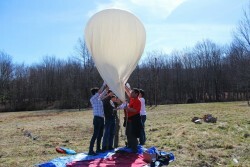 The balloon was launched from Prattsville, NY at 4pm, then land safely near Poughkeepsie later that afternoon. 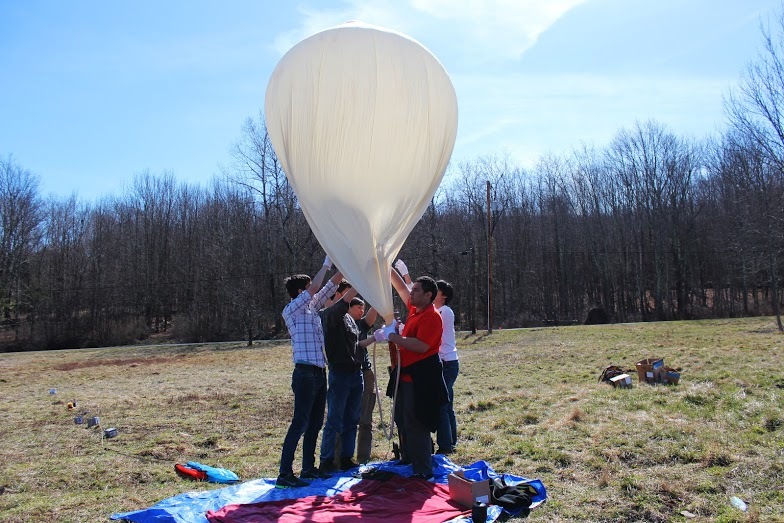 In addition to the Roaree plushie, the balloon included an ozone sensor and altimeter, so that the CSI team could track the balloon’s flight. They also used the plushie’s wooden mount to capture GoPro footage of near space. 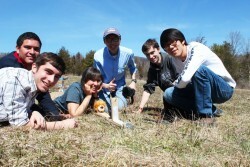 The team that completed the balloon launch consisted of ten CC and SEAS students led by Jake Lee, SEAS ‘19. This group is only a small fraction of CSI, which is currently involved in projects ranging from two NASA design competitions to hosting lectures and community outreach opportunities. You can watch a video of the launch (and of the best views this stuffed lion has ever seen) here.